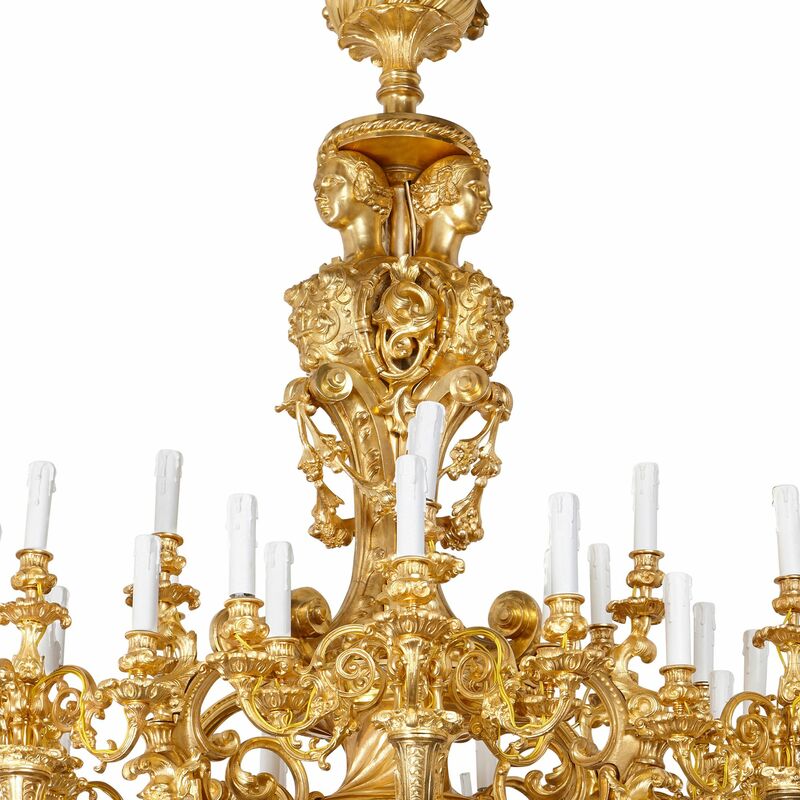 This spectacular chandelier is richly decorated in the Louis XIV style, with beautiful classical urns, bust sculptures, swags, and scrolled acanthus leaves. 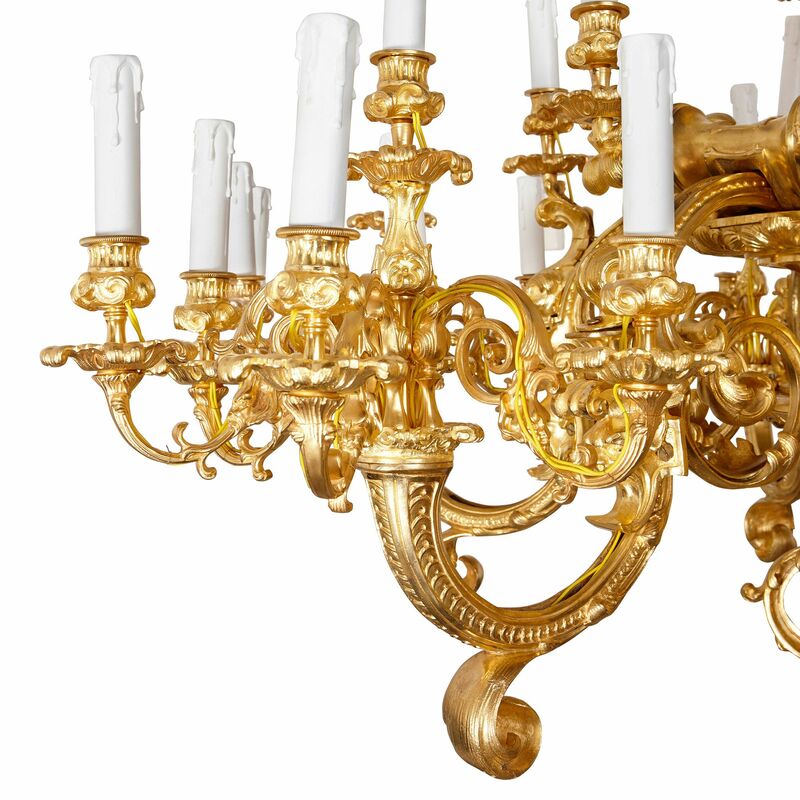 The eighteen-light chandelier has been crafted entirely from ormolu (gilt bronze). 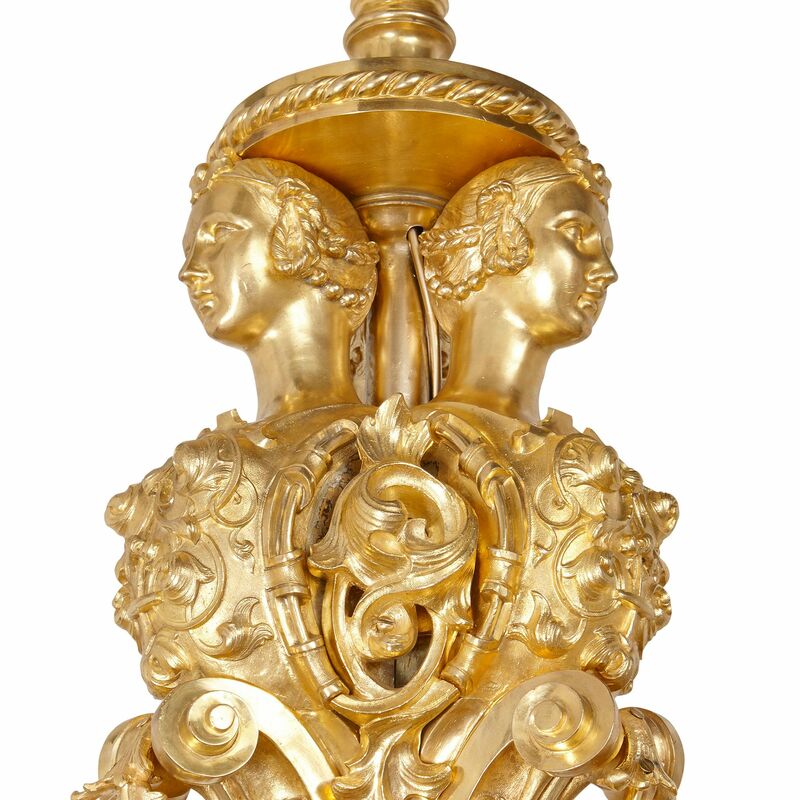 The base of the chandelier features a finial, which is cast as a pinecone. This is positioned at the end of a shaped stem, with a bottom bowl in a crown-like form. 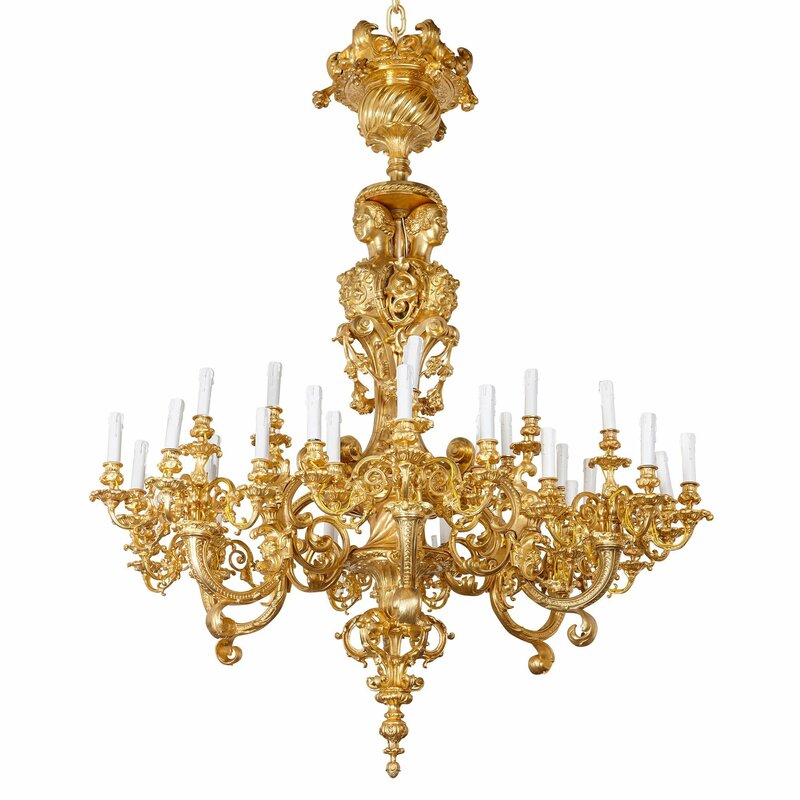 The chandelier features six cornucopia-shaped branches, from which spring a series of smaller, scrolling branches. 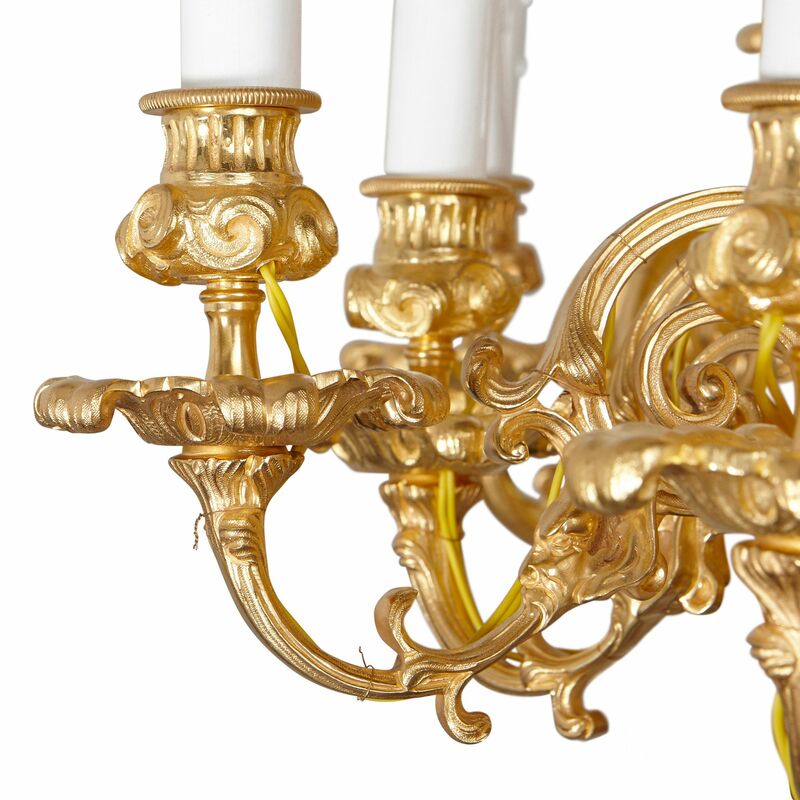 These are topped by leafy drip-pans, and urn-shaped capitals, holding white candle tubes. Above, the chandelier’s column is composed of scrolls, which are draped with flower swags, and its upper section is decorated with sculptural female busts. 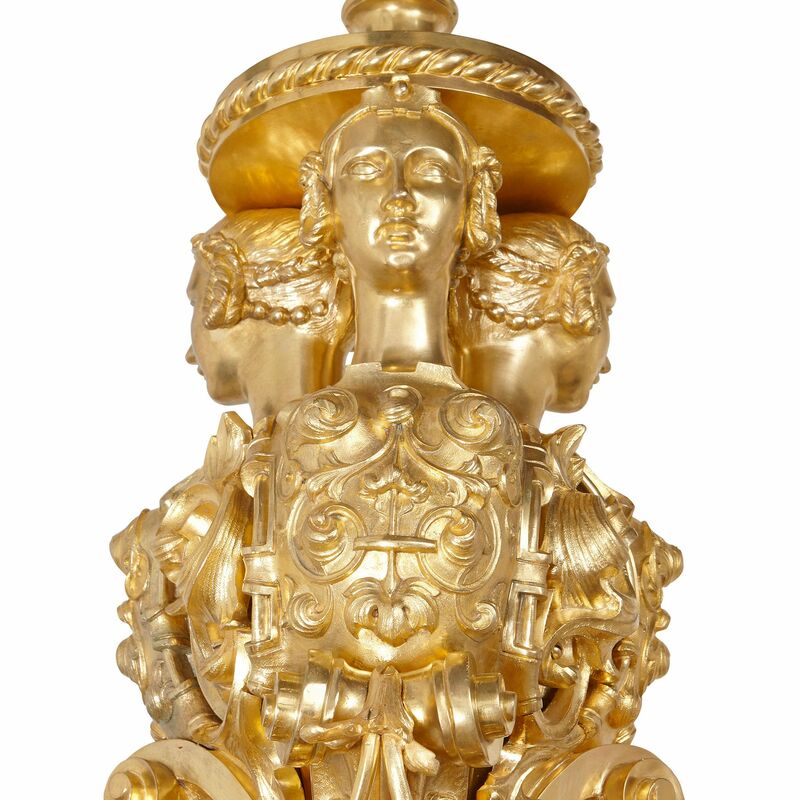 These women carry, on their heads, a classical urn, which overflows with flowers, fruit and foliage. 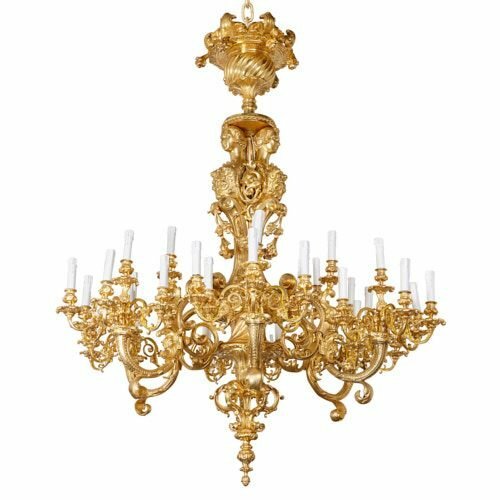 Once turned on, the light the chandelier produces will reflect off its ormolu surfaces, causing the piece to glimmer and glow.